The Real Lesson We Need To Learn from THAT Strictly Scandal. | Nicki Kinickie Nicki Kinickie: The Real Lesson We Need To Learn from THAT Strictly Scandal. The Real Lesson We Need To Learn from THAT Strictly Scandal. 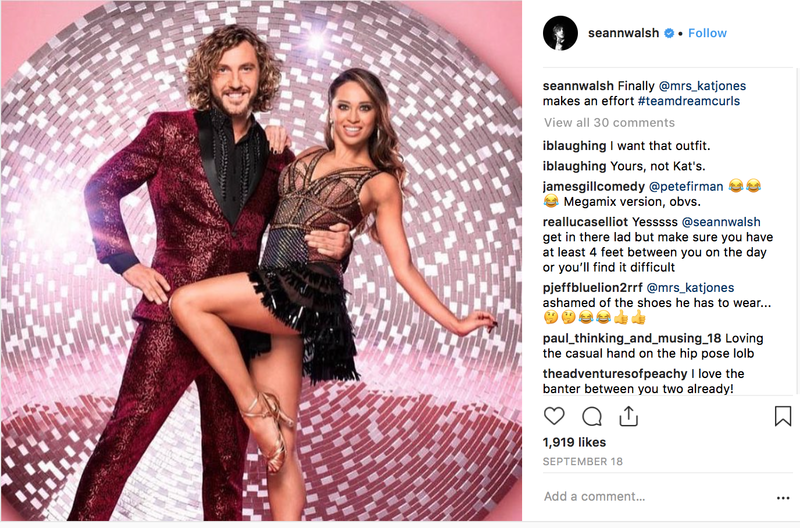 Unless you have been living under a rock this past week you should be aware that the media has been OBSESSED with the 'Strictly Come Dancing' scandal between the comedian (who has / had a girlfriend of five years) and his married dance partner. While I don't condone what has happened in the slightest I am a bit fed up of it all now. They had a drunken snog they didn't murder someone. Yes it was wrong but Jeez this whole thing has been strung out for nearly a week now with constant debates online and in the media as to whether they should quit strictly or not and then that very awkward interview on 'It Takes Two' on Wednesday night. They didn't owe the public an apology, their behaviour away from the show is none of our business. Their partners are the only ones who deserved an apology too which, if you go by Rebecca Humphries statement posted on twitter on Monday (October 8th) she hasn't. I kinda feel there is a much bigger issue within this whole scenario being missed here though. 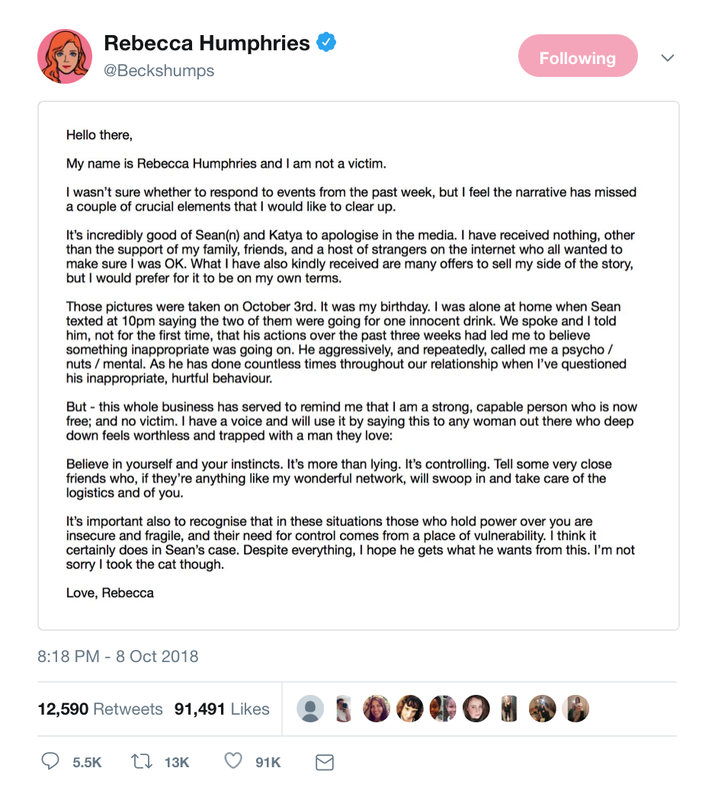 In her statement, Rebecca Humphries revealed she had already had suspicions something untoward was going on which he rebuffed with insults rather than reassurance. The drunken snog doesn't matter. It really didn't deserve the amount of headlines it has had this week. What was missed was the opportunity given by Humphries statement to raise more awareness on gaslighting. For anyone unaware what gaslighting is, it is a form of psychological abuse where by the abuser mentally manipulates their victim until they begin to question their own sanity. This technique is typical not just in relationships but also families, friendships and people in positions of power. The technique works slowly so the victim doesn't realise how much they have been brainwashed, ebbing away at their self confidence and mental health until they're totally reliant on the abuser. I am not here to comment on Humphries statement but I am here to say an important issue was brought to light and it wasn't talked about enough. This form of abuse is subtle but highly dangerous and effective over time so it needs to be talked about more yet the tabloids missed the chance to raise awareness, opting instead to over indulge in an incident that realistically barely warrants being classed as a huge scandal. They will tell you huge lies with a straight face to keep you off kilter, you know it's a lie but they are saying to you anyway. Now you know they have the ability to blatantly lie to your face about something huge you will question anything they tell you from now on. They Deny Ever Saying Something. Even if you have proof they will strongly deny it. You know it's true, you heard them say it or saw them do it but now because of their denials you are questioning your reality. Lying and denial comes easy to them. Watch Their Actions Not Words. With gaslighters it is better to monitor what they do as appose to what they say. We know they can lie so what they say means nothing. Watch their behaviour instead. Whatever their behaviour they project that onto you, so for example if they're a cheater they accuse you of cheating. And so on and so fourth. Gaslighters know we all want stability, that's why they aim to make you question everything. By doing so you become weaker and rely more on them for stability giving them all the power. You will tend to trust what they say over what you think. They Throw in a Compliment. Just when they have been kicking you down they build you back up again with a compliment, again throwing your feelings into doubt. You find yourself thinking 'they're not so bad really' when actually that is all part of their abuse. They Use Others Against You. Gaslighters will be clever at choosing friends to use as allies who will agree with them and use those friends against you. 'So and so thinks you behaved badly too' and other comments along those lines will be used to hurt you but always bear in mind that gaslights LIE. These people may not have said these things the gaslight is telling you. They Tell You You're Crazy. This is their most effective tool. It is very dismissive and if they question your sanity then others will doubt your behaviour or even doubt you when you question the gaslights behaviour. You can read more on gaslighting here.